Lts. Antwann and Bethany Yocum arrive at the Atlanta Kroc by way of Danville, Kentucky. Antwann received his Bachelors of Social Work from Eastern Kentucky University and spent nearly four years working in Child Welfare. Bethany is a registered nurse and shares her husband’s alma mater. Antwann and Bethany come with diverse experience working with many populations. 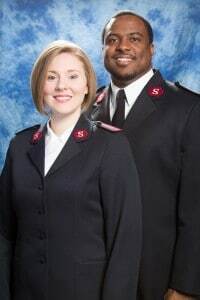 They share a passion for families and children and strive to express God’s love to all people in everything that they do. Antwann and Bethany have a six year old son, Mekhi, who loves skateboarding and Kung Fu. Lieutenant Prudent comes to us from the Georgia Division through the Lawrenceville Corps, with her children, Elijah and Deenah, who are both Junior Soldiers. She lived in Haiti and Guadeloupe (French West Indies) until her family relocated to Boston, Massachusetts. She attended Gordon College and transferred to the University of Massachusetts Boston, and graduated with a bachelor in English Literature. She has worked for both for-profit and non-profit organizations as secretary, office manager, bookkeeper, and case manager. Lt. Prudent relocated to Lawrenceville in 2009. 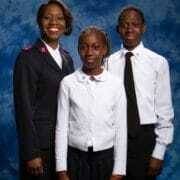 Along with her children, she affiliated with The Salvation Army through the music and arts Conservatory program. She was enrolled as a Soldier on Easter 2010 by Captains Anne and Bobby Westmoreland. In August 2012, she entered the Evangeline Booth College for Officer Training in Atlanta, Georgia. Her favorite phrase being, “God is in it!” Lt. Prudent is ready to take part in God’s work at the South Atlanta Kroc.